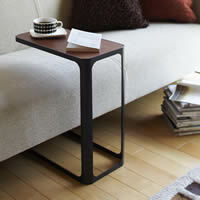 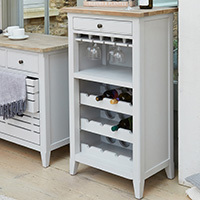 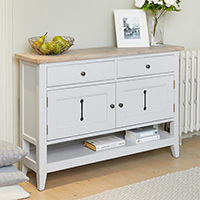 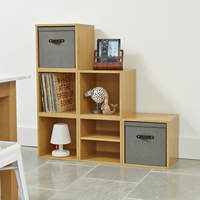 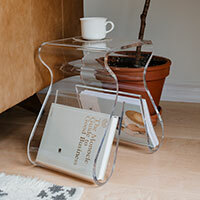 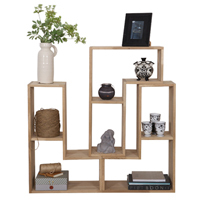 New to our range of solid storage furniture is our Signature Grey sideboard. 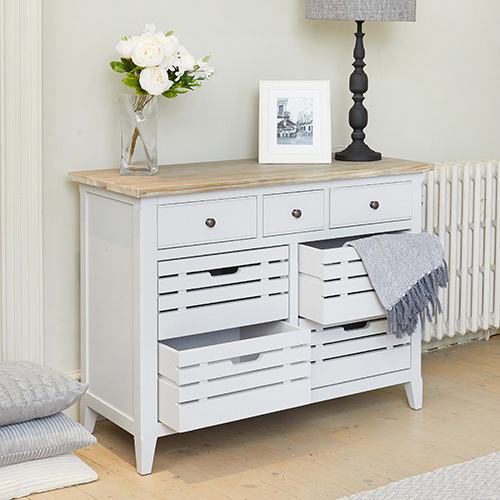 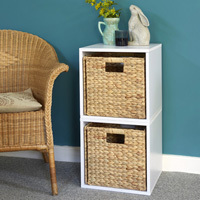 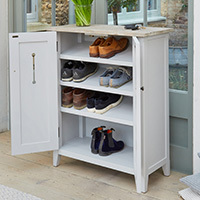 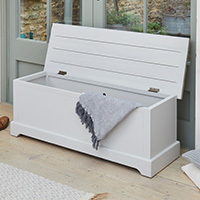 There's plenty of storage space across the 4 ventilated crate style drawers and 3 traditional drawers that it makes a great addition to any dining room, living room or hallway. 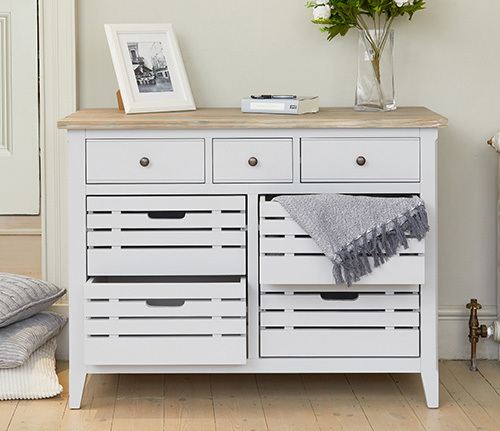 Crafted from solid wood which has gone through a six step painting process to give it a contemporary grey finish, our sideboard is delivered fully assembled with a 5 year guarantee.